After his death Matthew’s widow Ann and daughter, also Anne (born in 1812) suffered some financial difficulties over the following years but received no assistance from the British Government. Several decades later the Governments of the Victoria and NSW colonies, hearing of their plight, decided to pay them an annuity. When mother Ann died, daughter Anne used the money to bring up and educate Matthew and Ann’s grandson. 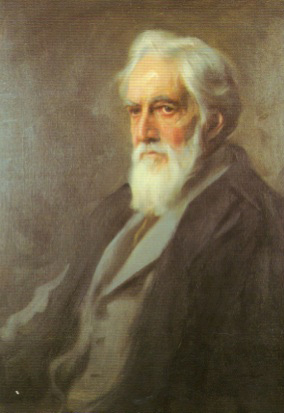 He became Sir William Matthew Flinders Petrie, a foremost Archaeologist. In 1851 Matthew’s daughter, Anne, had married William Petrie, who was nine years her junior. Both were highly religious and very intelligent. Anne was somewhat of a linguist, being fluent in German, Italian, Hebrew, Greek, Spanish and Portuguese. She studied astronomy and Geology. She was also an avid reader of the literary classics. William was an excellent electrical, mechanical and civil engineer. He invented and patented many objects. None of which made them wealthy. From a very early age it was obvious William Matthew was extremely clever. He had also inherited the traits of his parents and grandparents. He had the urge to explore and was meticulous in everything he did. As a young man he examined many of the archaeological features of the South of England and accurately surveyed Stonehenge. The results of which were published. Sir William was probably better known in this country than Matthew. He was described as the Father of Eygptian Archaeology. He was knighted in 1923 for services to British Archaeology and Eygptology. During his career he wrote over a hundred books and his pioneering works on systematic methodology or in, other words the painstaking layer by layer excavation of sites, are still used to day. In his later years he settled in Palestine and died there in 1942 aged 89. He was buried in Jerusalem – although not quite all of him. Flinders Petrie was a truly brilliant man and he knew it. He was very interested in Eugenics, which is basically the study of the methods of protecting and improving the quality of the human race by selective breeding. He decided that after his death he would have no further use for his head/brain and, in his will, donated it to science – specifically to the Royal College of Surgeons in London, so that it could be studied for its high intellectual capacity. It was duly severed and the body, minus the head, was interred in the Protestant Cemetery on Mount Zion. World War II was then at its height and the head/brain was delayed in transit to London. After being stored in a jar in the college basement, its label fell off and no one knew who the head belonged to. It was identified however, and is now stored, but not displayed.